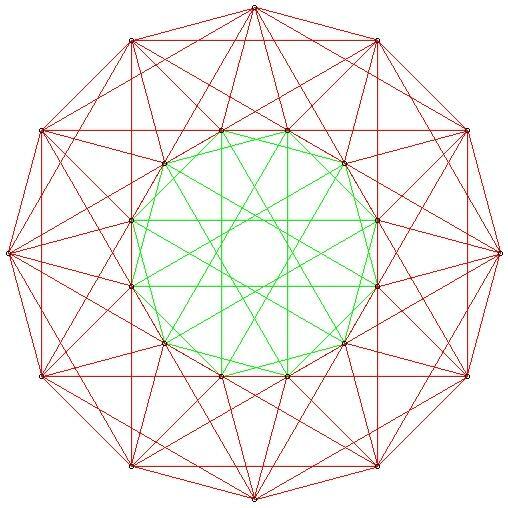 The symmetry group of a regular polytope is a finite Coxeter group, so all such polytopes have canonical projections into their Coxeter planes. Collected here are the 1-skeletons (wire frames) of the most interesting 4-dimensional regular polytopes. The symmetry group here is W(F4), and the polytope may be constructed as the convex hull of the short (or long) roots of an F4 root system. In fact, these are the roots of a D4 root system, and as such they also have a natural projection into a D4 Coxeter plane, but the F4 projection has more symmetries. The 24-cell has 24 vertices, 96 edges, 96 triangles and 24 octahedra. 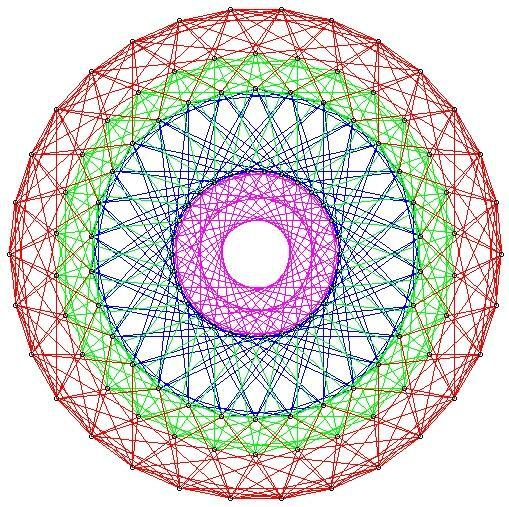 The symmetry group here is W(H4), and the polytope may be constructed as the convex hull of the H4 root system. It has 120 vertices, 720 edges, 1200 triangles, and 600 tetrahedra. 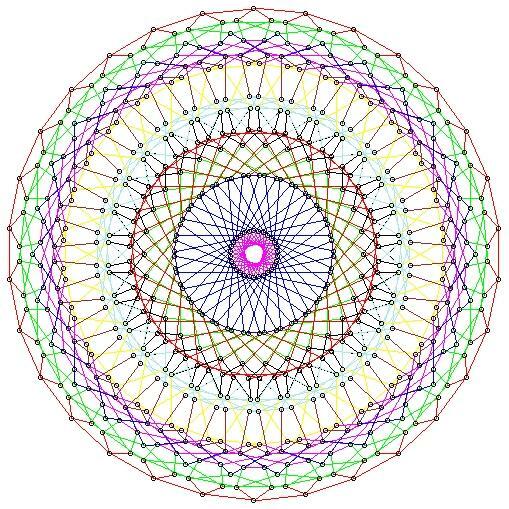 This is the dual of the 600-cell; it has 600 vertices, 1200 edges, 720 pentagons, and 120 dodecahedra.